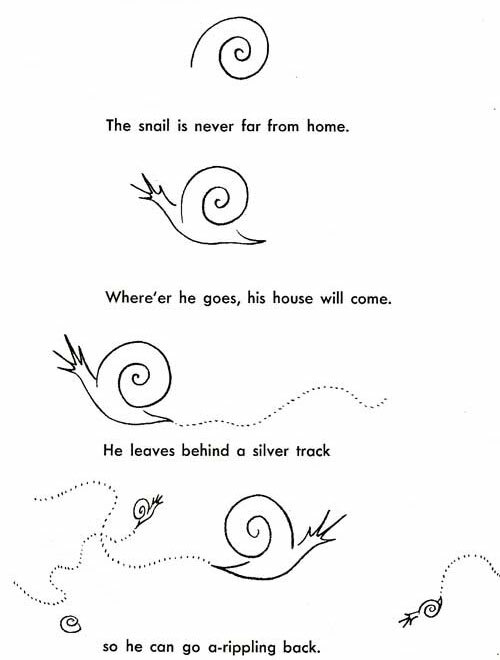 Gardeners tend to draw snails. While these silent, slow creatures are not anywhere near as popular as dragons or roses for drawing subjects, snails do make excellent doodling subject matter. They can be a subtle commentary on how a meeting is going, for example. You could draw snails slowly making their way over a company logo, maybe leaving a thin film of snail slime behind them if you are feeling particularly peeved with the organization. Snails seem to do best in black and white, as pencil drawings. But you could make them with any medium. In nature, snails are generally pretty drab when it comes to colors, but there are some neat patterns and black and white varities. Sea snails are the exception; they come in wild, brilliant colors. For drawing or painting applications, though, you could probably get away with drawing multi-colored snails on land. They would blend in well with flowers for a gardening theme, though most gardeners will tense up just at the sight of a snail. Snails sometimes eat flowers and can cause a lot of damage in a garden.